Just received: Shipment of rapiers and Rapier belts. 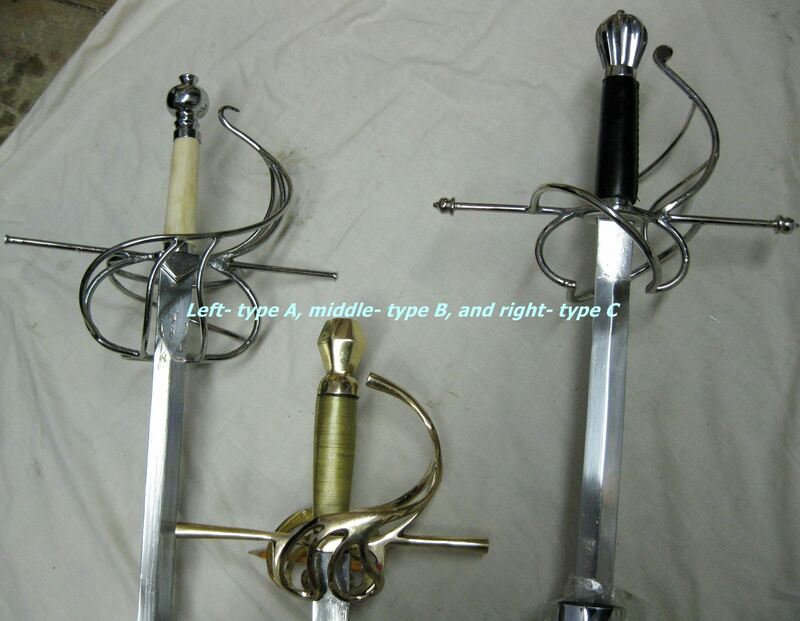 All rapiers have carbon steel blades and come with Black scabbards. All blade lengths are 34”. 5 styles available, see pics. 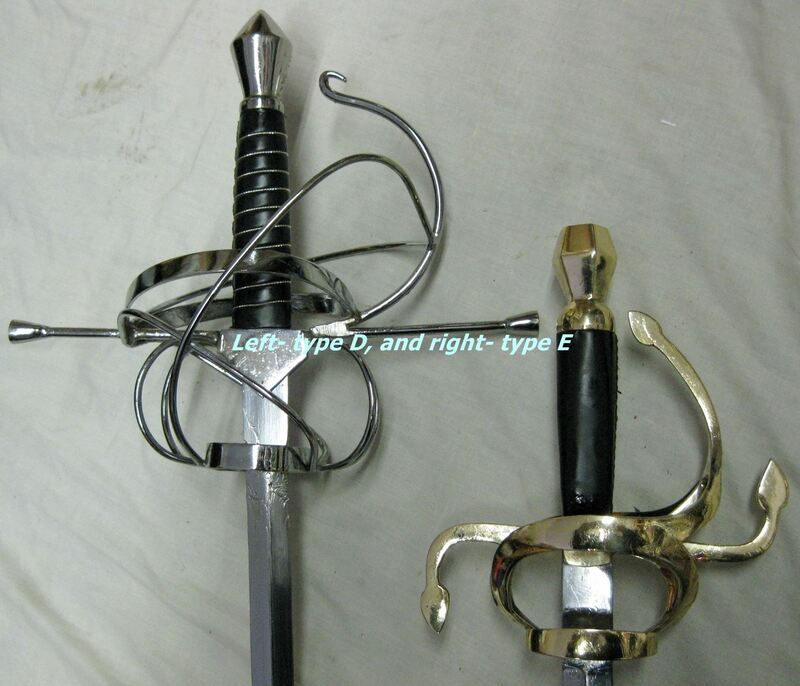 Our fine quality Rapiers are already priced below our competitors @ $149.00 US/ $175.00 Cdn. We also have Rapier belts in Black and Tan Brown @ $72.00 US/ $86.00 Cdn. If you order any Rapier before July 15/15, we will give you a Rapier belt at $30.00 US/ $36.00 Can. That’s over 50% off regular price of the Belt!! Please email us at service@loyalistarms.ca for quote on price with shipping. Please include your complete mailing address. We have limited quantities so order your favorite style Rapier before they are gone. This entry was posted in Uncategorized on June 10, 2015 by loyalist.